Many people experience no symptoms of kidney disease until it has progressed to Stage 2 or 3, and for those who do, their symptoms vary greatly, partly because the kidneys affect so many body systems that pinpointing the cause can be difficult. According to the National Health and Nutrition Examination Survey (NHANES) 1996–2006, less than 5% of persons having symptoms of kidney disease in stages 1 or 2 (mild disease) reported being aware of having chronic kidney disease (CKD); of those with CKD stage 3 (moderate disease), awareness was only about 7.5%; for stage 4 (severe disease), awareness was still only less than half (about 40%). This data is derived from the United States Renal Data Entry System (USRDS). Anemia with general fatigue as a result of falling erythropoietin levels. Uremic platelet disorders can cause bleeding. Cardiovascular ailments from congestive heart failure and coronary artery disease to pericarditis and occlusive vascular disease. Neurologic ailments ranging from encephalopathy with dizziness and mental change to peripheral neuropathies (restless leg or burning feet syndromes) and muscle weakness. Skin disorders with uremic pruritus or itching. 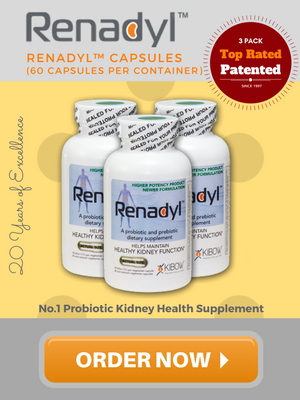 No.1 Doctor Recommended Probiotic Kidney Health Supplement. 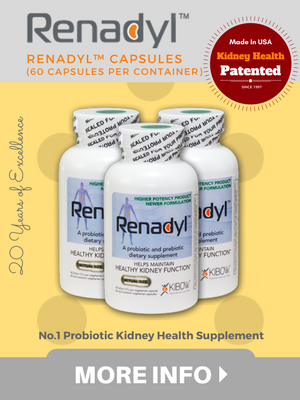 Renadyl™ establishes Kidney balance naturally. Natural Supplement for Kidney Health. 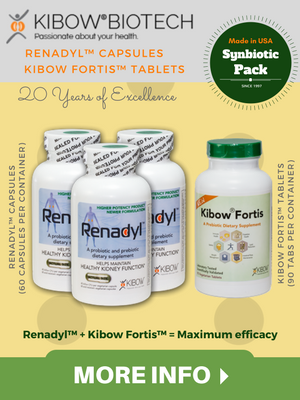 It is important to note that Renadyl™ should be used for a full 3 months to receive its full benefits. 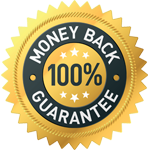 If, after 90 days, you are not satisfied, we will provide a full refund. 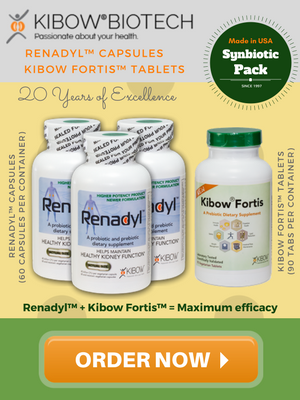 Renadyl™ is now FULLY STABLE without refrigeration for at least 2 WEEKS and maintains effectiveness without the need for cold shipping. 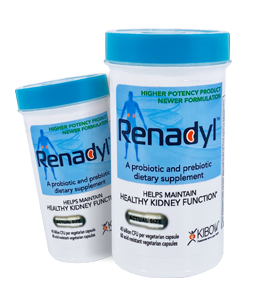 Upon receiving, please store Renadyl™ in your refrigerator between 39 – 45 ° F (4-8° C) to maintain maximum effectiveness. Do not freeze.